Title-“Please Fetch! !” Second sequenced post. Posted is the 12” x 12” pencil Worksheet to be used for the ‘Please Fetch! !” painting. 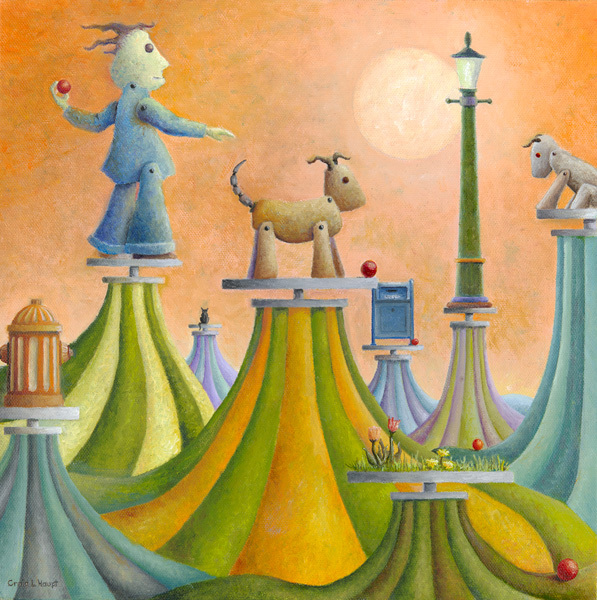 As a narrative developed for this painting, first order of business was deciding on the objects to be placed on the pedestals/hills in relationship to the ‘dog’. 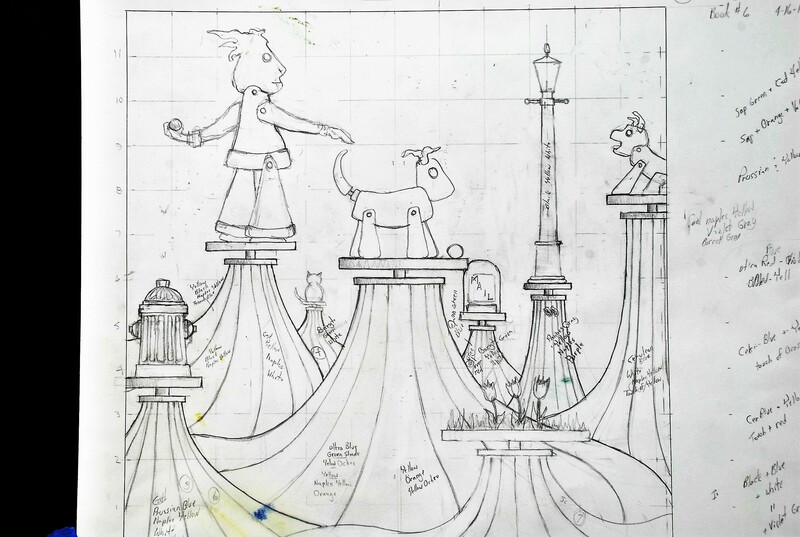 The three, cat, fire-hydrant, and grass/flowers in the ‘doodle’ would be included and just needed a couple more. The additional ones chosen are shown on the worksheet. One of the obvious differences from the previous 12 + 12 worksheets is the notes, lots of notes, about color choices. The bulk of these notes occurred after the painting was started and decisions had to be made on color combinations to separate foreground pedestals from those receding pedestals to create a sense of depth. On the progress painting post next Monday, this color selection can be best clarified once you can see the first colors applied.